Just an add on to my previous post Press the Hot Button. The passenger thinks he’s riding on the bus and he needs to press the button to alight?! 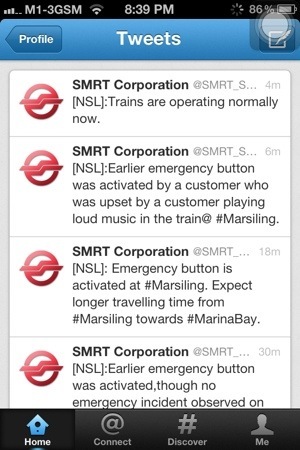 Smrt should do more to educate the public to reduce down time for such silly incidents!!! That button is for EMERGENCIES!! Not to be pressed for fun!! Sigh…. 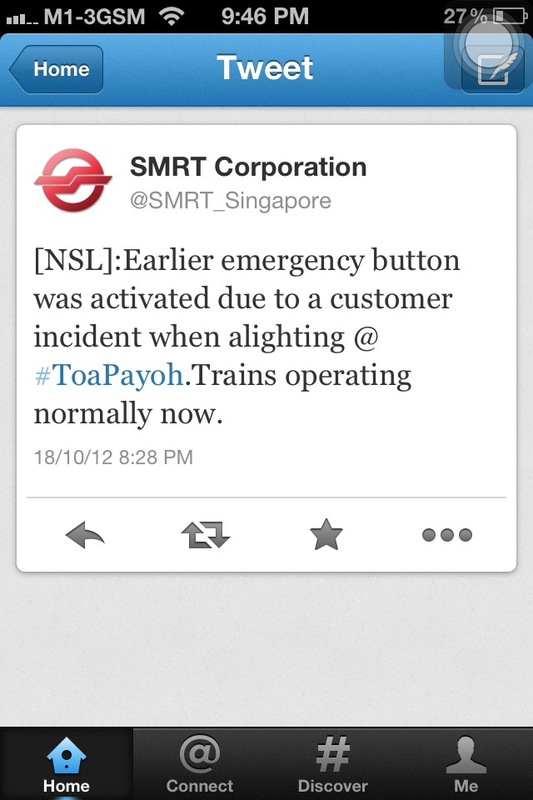 It’s only today that I realized how frequently the emergency button has been abused on the mrt. The button is big and undoubtedly attractively red. That may explain why. The “hot” button was pressed for several reasons. 1. Unwell passenger. Ok fine. Sounds pretty valid to me. 2. For no reason. Several times the Smrt was unable to locate the source of the problem. I suspect it lies with certain “itchy fingers” of the passengers. I wonder if there’s an illness called itchyfingerholic. 3. UFO. Unidentified bag left in the cabin. Well, ok. There’s the risk of a bomb. One can never be too careful. I still remember my fateful incident in a London tube station. We saw a bunch of officers running towards a solitary bag left in a tube station. Dear Seow said,”oh my goodness! It may be a bomb!”. We ran for dear lives. With a backpack full of 1 month’s *barang on our backs. We were pretty darn fit then. It’d kill me to perform the same feat now!! 5. But today’s the one that really cracked me up. Check this out. Someone pressed the emergency button because he was upset by his neighbour’s loud music. He must have mistaken the button for the player’s stop button?? He stopped the whole train just so that all the rest of the passengers could be trapped in the train together with him and enjoy the loud music. Wahahaha. I marvel truly at his ingenuity. I wonder who he is!! C’mon stompers!! You are not doing your job!! You should have *stomped him!!! He can then enjoy his moment of fame. Next time if someone plays gangnam music I can press the hot button?!?! *stomp = an online tabloid where people snap photos of unsuspecting strangers in various compromising positions and upload them. Link here.